Playing cards and having drinks go hand in hand. We can’t recall the last poker night that didn’t involve a more than healthy helping of cold ones. 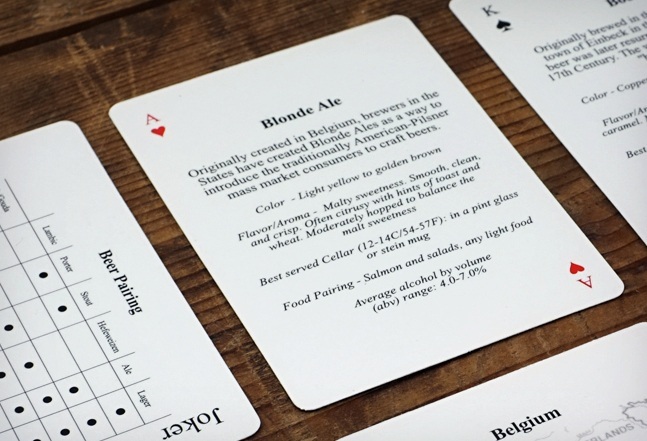 If you want to get schooled with a little bit of beer knowledge while you await your next turn, check out The Beer Deck. 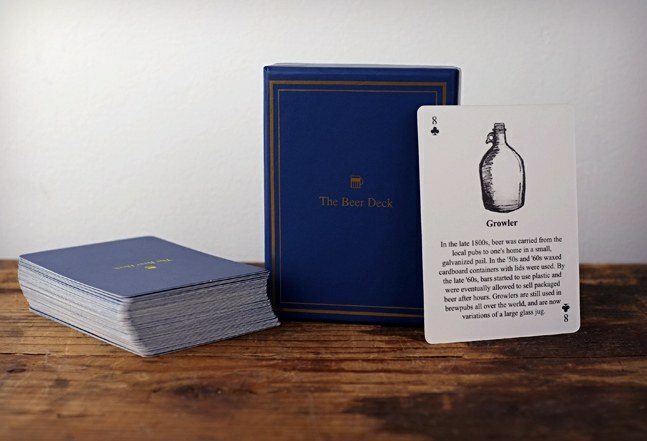 Printed on each of the playing cards is info related to the history of beer brewing, descriptions of different beer styles, and tons of random sudsy facts. 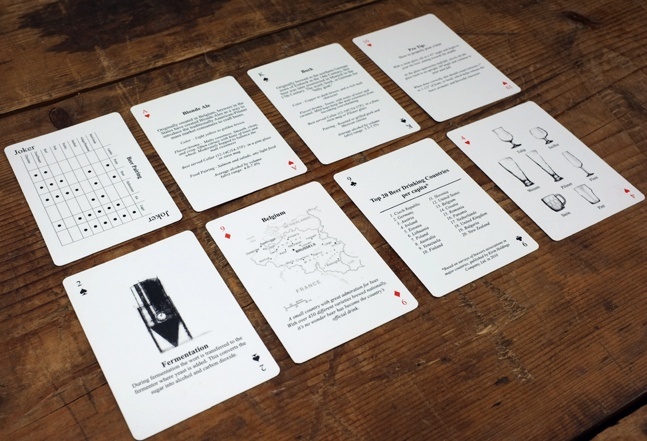 From info like which countries drink the most brewskies to helpful tips like which glasses you should use to down your brew, you’ll be a beer aficionado after just a few hands.